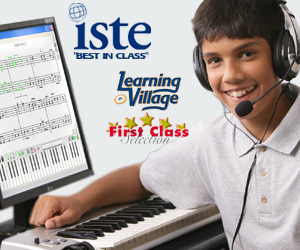 We wanted to offer our children a piano learning experience that was both interesting and challenging. We have found both in the programs offered by Adventus’ MusIQ HomeSchool. Over the last four years, we have gradually built up our collection of Adventus’ piano learning software to include Piano Suite, and all levels of Ear Training Coach and Children’s Music Journey. I can truly say that everyone in our home has benefited greatly from the use of these programs. The Children’s Music Journey Series is engaging enough for our four year old to stick with, and has enough content for our eleven year old to learn from. Piano Suite and ETC have been a great help to myself and our older children. We have had reluctant learners become eager musicians, and eager learners progress at a fantastic rate with the various programs. Our latest purchase is the MusIQ Challenger, and I can’t wait to see what it will add to our progress. I might add that the customer service offered by Adventus has been exceptional, in the rare occasion of a problem. Adventus has truly been a marvellous contributor to the musical progress in our home.